With the scorching heat and glaring rays of the sun, we could not help but admit that it is that time of the year where everyone goes out with friends and family in wide-brimmed hats, in thin-cloth and light colored clothes or in swim wears, with a glass of ice cold freshly squeezed fruit juice or some smoothie or a cone of ice cream on one hand. Yes, it's summer, at last! Due to the heat that it brings, we then crave for some splash of and a dip into the cold waters. Blessed are those people who live nearby and a few-hour drive to beaches and rivers for they can get a dose of waves of natural waters in no time. Well, for those who live in the landlocked areas most especially at the Eastern North side of Luzon who are craving for waves, adventure and crystal clear waters, Crystal Waves Hotel and Resort should be your next pick. 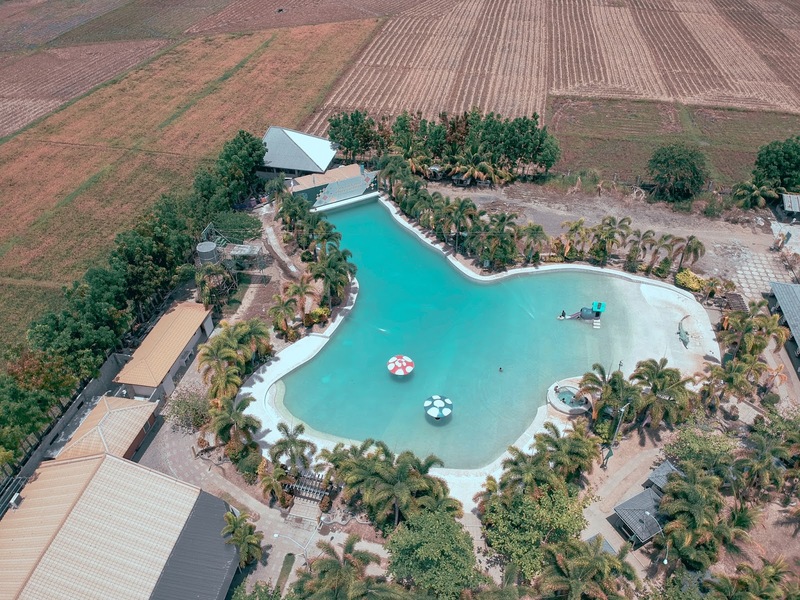 Prospered as a family-owned business, Crystal Waves Hotel and Resort started eight years ago as the first resort to offer wave pool in the province. As time passed, the business expanded to offer its guests and target clients more that they need not to go far from the town. 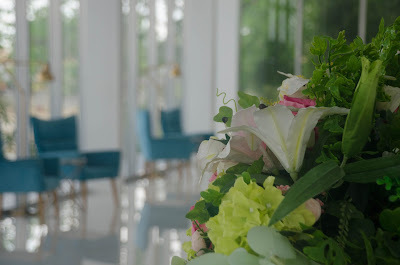 The resort recently had a re-branding giving the place a whole new revamp of taste and colors that people in all ages would surely love. They have added and improved amenities, facilities and services to give the guests the best experience that they can have upon their visit. 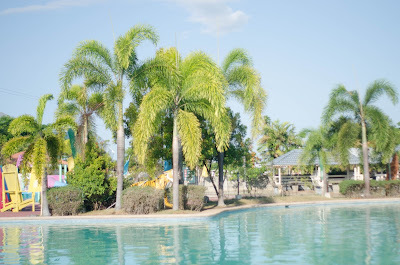 Walking around the resort would really spoil your tropical state of mind. 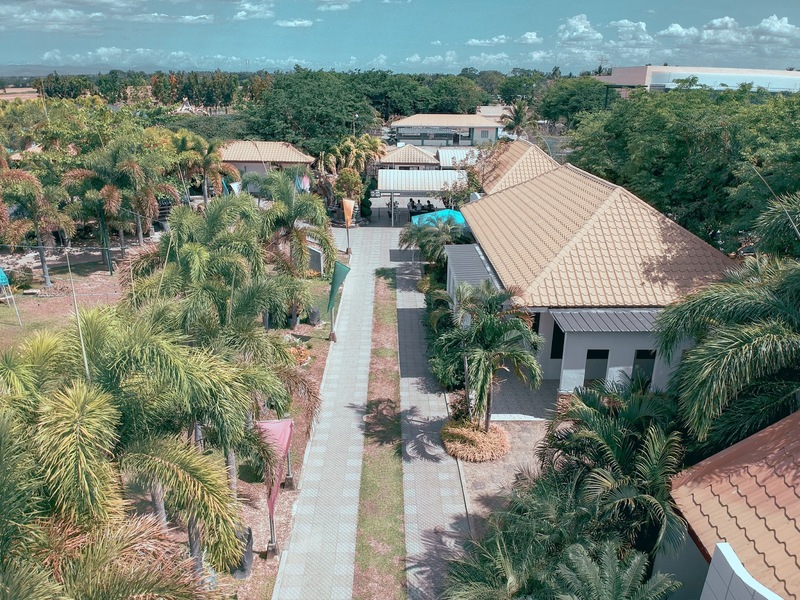 The place itself will make you feel the summer vibes from the palm trees in every corner, the vibrant colors everywhere, the blooming flowers to the luscious verdants and the crystal clear waters of their pools. 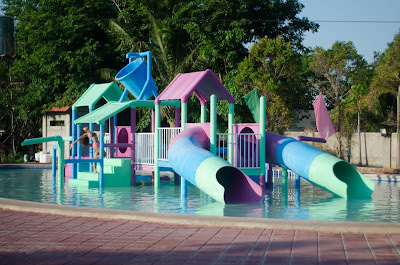 The waters are so inviting since each pool will give you a different experience. 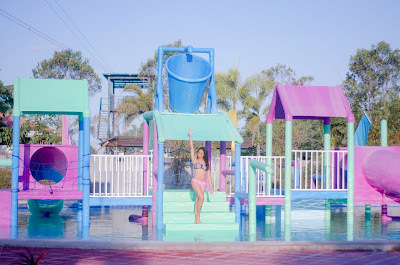 Rekindle your heart's desire as a kid as you take a glance at the kiddie pool with the aqua play area that would surely tap the inner 7-year old in you. 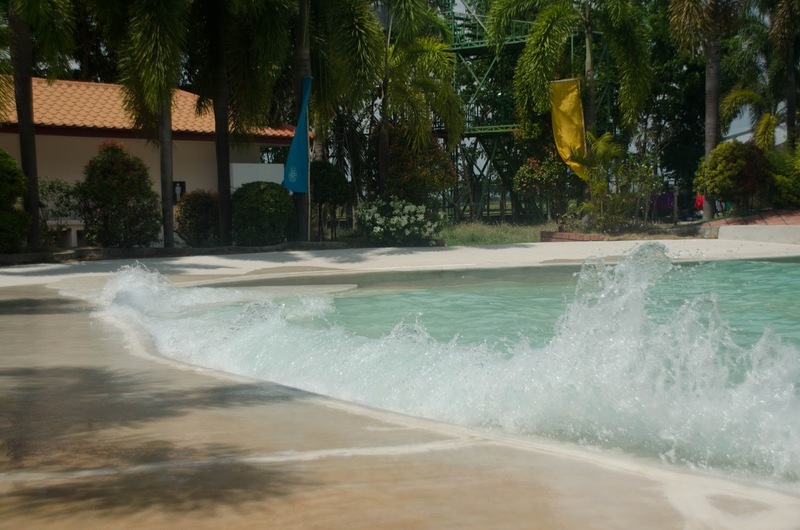 Catch the waves at their wave pool and relax at the Jacuzzi around the area. 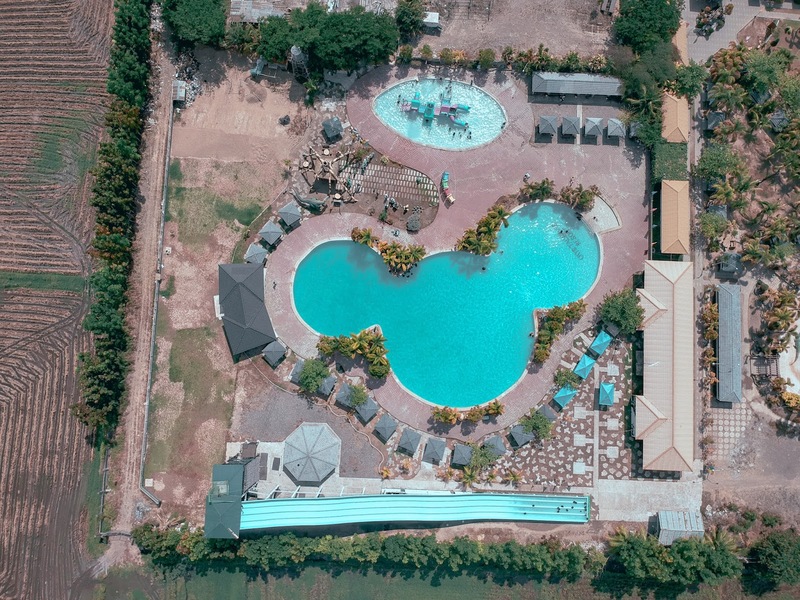 Enjoy the calm turquoise waters of the Mickey Mouse pool where you can actually go deep down to 7 feet. For the guests who would only stay for a day in the resort, they can enjoy the use of wave pool and jacuzzi, the giant water racing slide which starts from a 50-feet high tower to cascade down for 200 meters, the Mickey Mouse-inspired olympic size pool and kiddie pool with Aqua Play Area. The colors are just too good for my life I could not not take pictures on it! For those who will take the plunge and get a dip into the crystal waters, make sure that you are to observe proper swimming attire (i.e. trunks for men, swimsuit for women). They don't allow guests to get into the waters if they are wearing colored shorts, denim shorts with zipper and or anything with metal accessories. 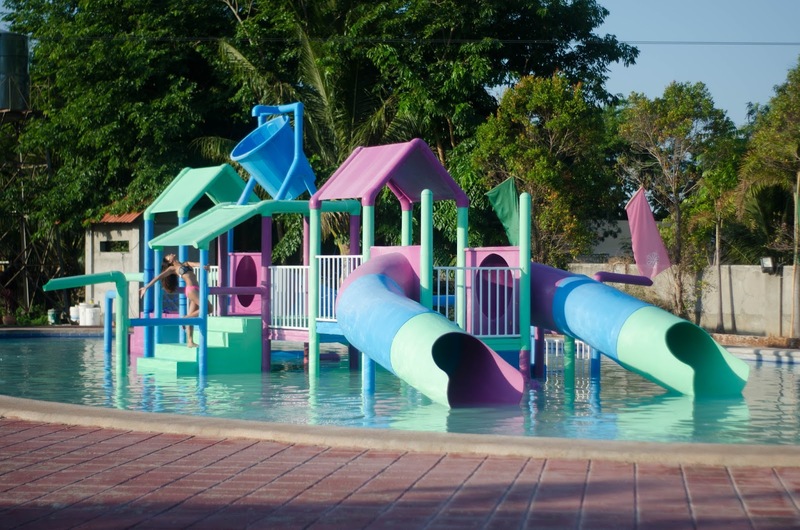 To keep the pool clean, they don't also allow food and drinks to be brought nearby pool area. To keep everyone safe, they don't allow bringing in booze, fragile utensils and deadly weapons. There are staff roaming around the vicinity to check if the guests are strictly abiding to this house rule. To double the fun, guests can also rent videoke for the whole day for only 700.00php. Should you also decide to make some barbecue but you didn't bring a grill for it, they have some for rent at 75.00php. 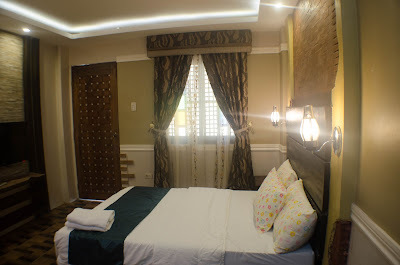 Crystal Waves also offers rooms for overnight accommodation that can cater guests in small to big groups. Room rates include complimentary breakfast. Check in time is at 2:00pm and check out is at 12:00nn the next day. Should the number of guest occupying the room exceeds the number of allowable pax, additional 700.00php will be incurred. Further, rates may vary without prior notice. You up for a climb? 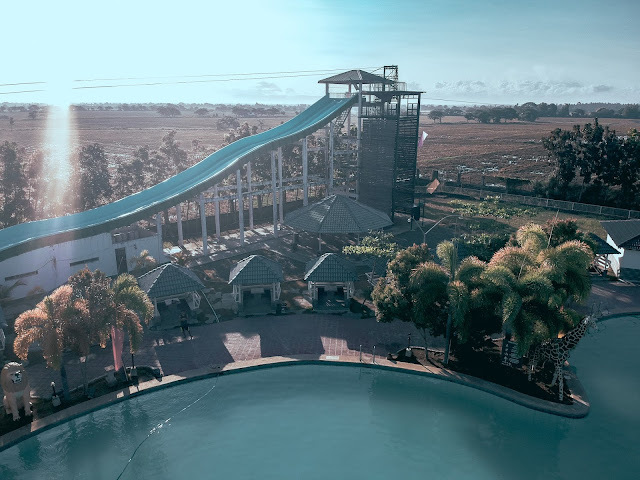 Aside from swimming, Crystal Waves also caters thrill seekers and adrenaline junkies through the other amenities that they offer. 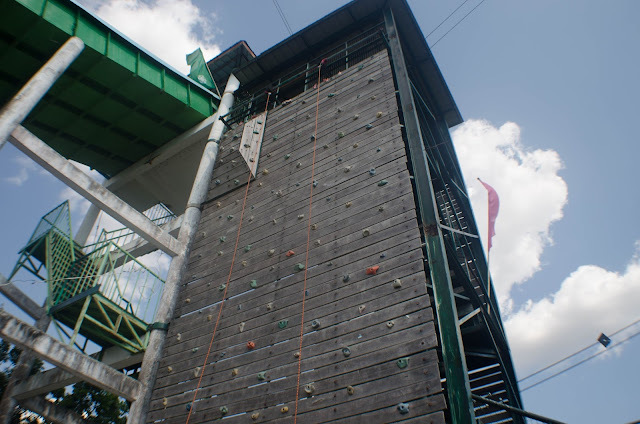 Go up high and fly away like your most favorite super hero on their zipline, rappelling and wall climbing activities! Day Tour guests could also try Crystal Waves Adventure but the fees are not included on the entrance fee. Safety is guaranteed in these activities as they have enough staff to assist you and help you put on the necessary gears for these. Should you get famished but aren't able to bring something to eat, there are establishments within the Commercial Complex of Crystal Waves. This include Mang Inasal, Double J Park N Shop and Yumyumyum Eat All You can which are just outside the resort near the parking area. From hotel and resort, the management and the owners of Crystal Waves has leveled the game up by finally opening the Crystal Wave Events where people in small to large groups can hold celebrations and gatherings with 200 to 1,200 guests! 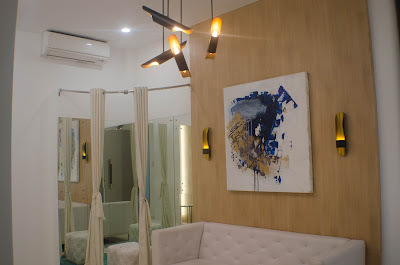 The guests have a lot to choose from depending on the type of event and the number of pax involved in the event. They have covered open-air and closed air-conditioned halls. 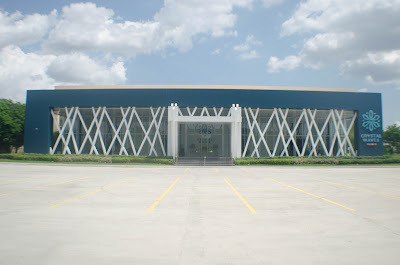 The biggest hall that they have has already housed several training, workshops and seminars of various public and private organizations and even concerts. You can check the rates and the package inclusions of the event's places here: Crystal Waves Events Rates. 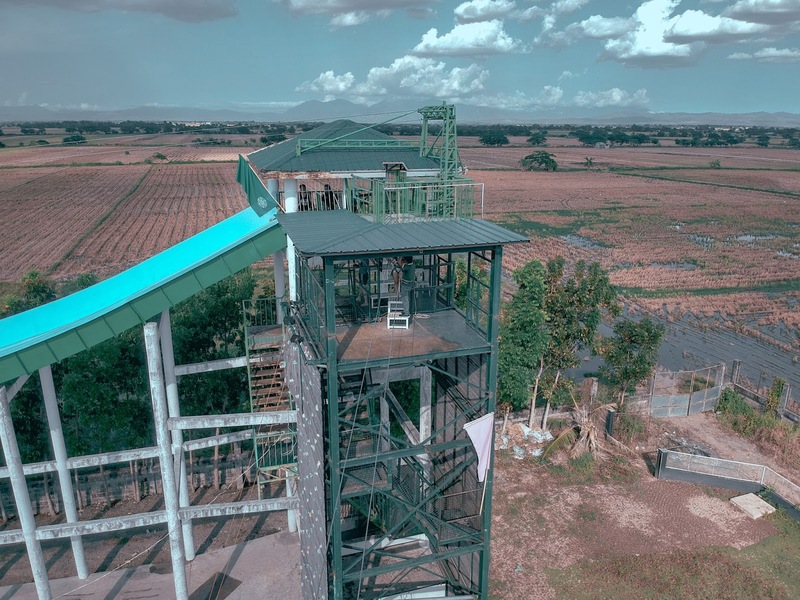 If you are from Manila or anywhere from the south and are bound to explore something new and exciting, getting to Crystal Waves Resort is not as exhausting as it seems. Just because it is nestled at the north it doesn't mean the travel should be painstaking. 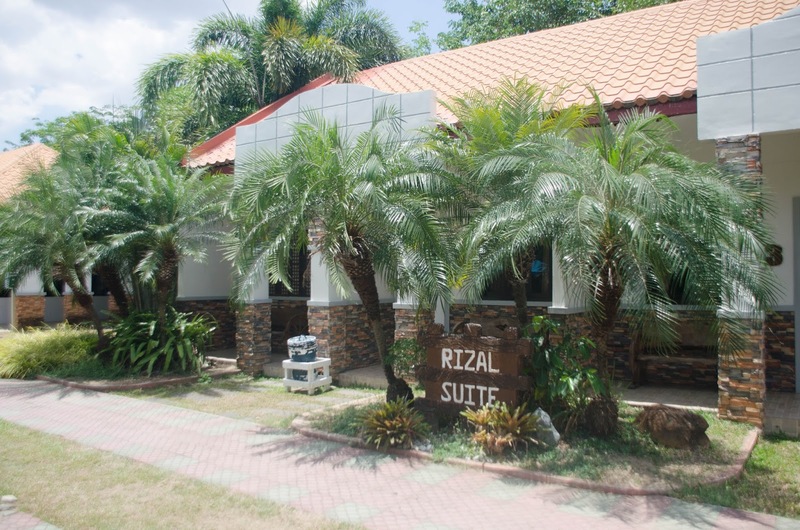 Thanks to NLEX and SCTEX, you can get into this resort in just three to four hours. From Cubao, take a Baliwag Bus bound for San Jose via SCTEX. Fare is at 230.00php per head. Tell the conductor to drop you off Crystal Waves Resort. It is just along the highway and you just need to cross the road. To go back to Manila, you need to take a jeep bound for Cabanatuan City then tell the driver to drop you off the terminal. Fare is at 25.00php. From there, you can take a bus back to Manila for only 218.00php. 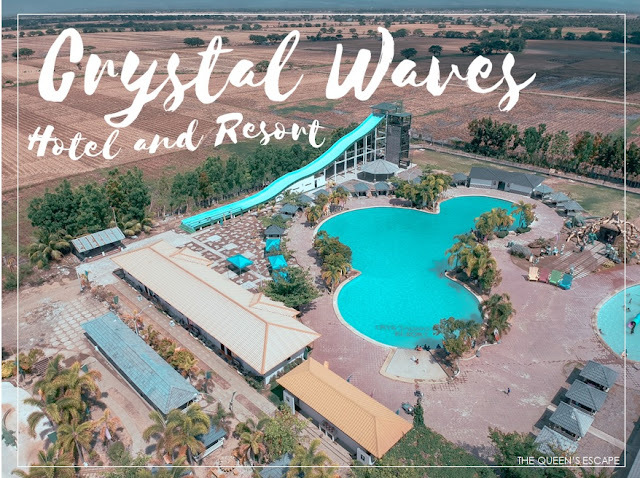 For inquiries and reservation, you may check Crystal Waves Official Website or their Crystal Waves Official Facebook Page You may also follow their Instagram (@CrystalWaves_official) and Twitter account for more updates and exciting offers! You may also call them at (044) 803-5090 or +63 932 867 5855 or send an email to reservations@crystalwaves.com.ph.